Why does my domain only work, with the "www" in the address? The domain root provides a backup to the published URL, in many domain setups. If the domain root is not redirected, and DNS for the "www" or other published alias is down, the domain is down. With the proper DNS addresses in place, redirecting the domain root is a very simple process. Start from Settings - Basic. Start from the dashboard Settings - Basic page. Click on "Edit" in the Publishing "Blog Address" wizard. 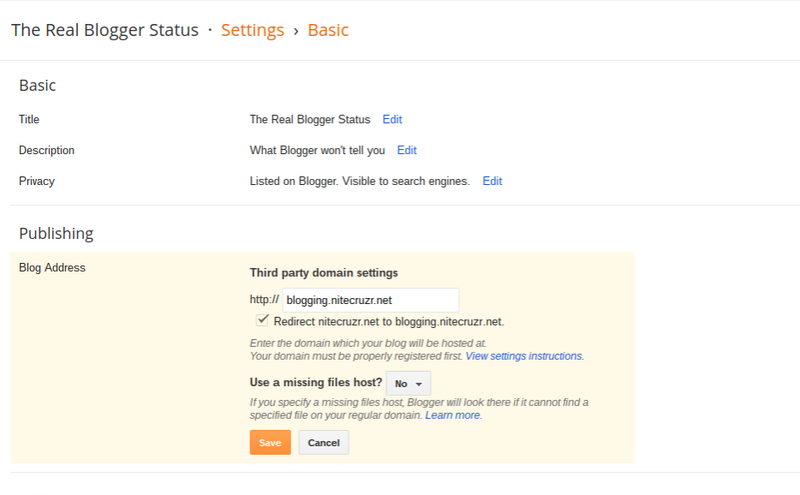 With this blog, I have the option to select "Redirect nitecruzr.net to blogging.nitecruzr.net." You can only redirect the domain root - no virtual hosts. Generally, you would publish to "www.mydomain.com" - then you would have the option to "Redirect mydomain.com to www.mydomain.com". 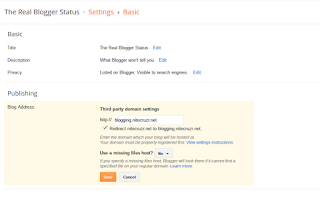 Note that you can only redirect the domain root - even if you publish to a virtual host, such as "www.blog.mydomain.com". "blog.mydomain.com" and www.blog.mydomain.com" are separate hosts - and cannot be aliased. Whatever you have, the option will work best, when you start with righteous DNS addresses. 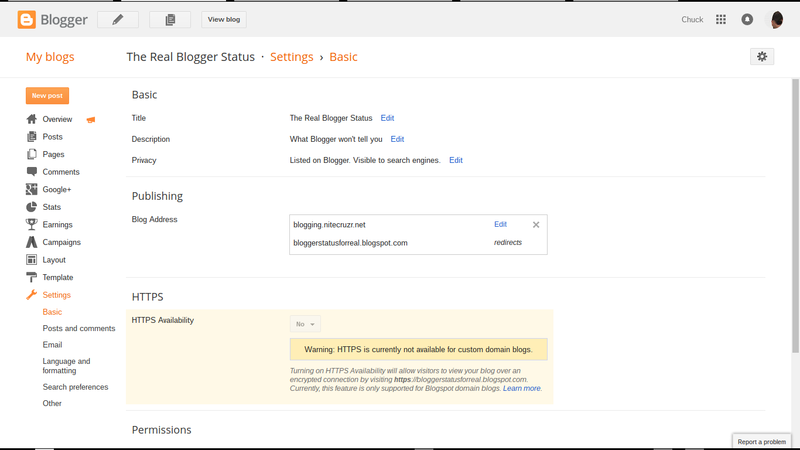 Given righteous DNS addresses, publishing a #Blogger blog to a custom domain will produce a more stable blog, with the domain root redirected to the published URL. 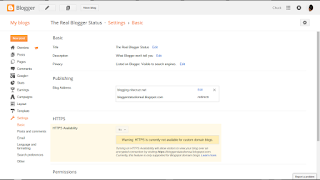 As the blog owner, you need to be sure to select the redirect option.